MUST WATCH: Baste and Inday Sara Were Caught Sharing a Simple Meal at the Airport! The family of the incoming president Rodrigo Duterte is indeed a simple one, making them being loved by most of the Filipinos. They used to live in a very simple way, however their way of living in the next couple of days may cause changes as they are bound to be the First Family. The family is busy for the thanksgiving events they attended. 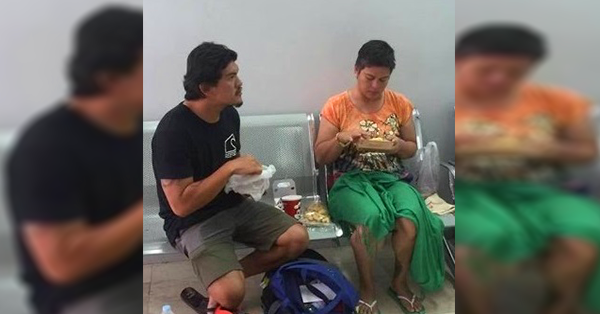 Siblings Inday Sara Duterte and his younger brother Sebastian were spotted at an airport in Cebu as they were together while waiting for their departing flights. The two shared a meal while talking about on what is happening to their family right now. Inday Sara refused to have an interview that time, but she showed her gratitude to the those who congratulated her father in winning the last election. Baste had his flight that time going back home to Davao City. They were in Cebu for a thanksgiving party prepared by Duterte's supporters. You may watch the video below.